This video was produced by MCA-Cape Verde for the closeout of Cape Verde's compact. In July 2005, the Millennium Challenge Corporation (MCC) and the Government of Cabo Verde signed a five-year, $110 million compact to help increase the country’s economic growth and reduce poverty through investments in infrastructure, watershed management and agricultural support, and private sector development. MCC’s compact with Cabo Verde was ambitious in size and scope, with activities in three sectors spanning four of the country’s nine inhabited islands. While this made implementation challenging, the flexibility built into the compact’s design allowed for adjustments as needed. The Cabo Verde Compact was MCC’s third-ever compact, and while there were successes, MCC learned important lessons from this and other early compacts. At compact completion, four bridges and three roads were built to improve access to markets, employment, and social services, and the island’s critical Port of Praia was significantly expanded and modernized to increase productivity and operational efficiency. The compact also funded the construction of 28 spring- and rain-fed reservoirs and 48 dikes; trained 553 subsistence farmers producing high-value horticultural and fruit crops; and helped 225 farmers and small agribusinesses obtain credit. Finally, compact investments strengthened the capacity of microfinance institutions and laid the groundwork for the country’s first private credit bureau. Given the complexity of the Cabo Verde Compact, MCC’s five-year time limit on disbursements, and budget constraints, significant changes for some activities were necessary. In many cases, the Government of Cabo Verde procured alternative project funding, but changes in compact scope and reallocations made evaluating performance measurements against original targets difficult. Recalculating Economic Rate of Return (ERRs) at closeout was complicated by the fact that original design assumptions no longer applied for some activities. Final evaluation reports on most compact investments are expected in the timeframe 2017-2019, along with independent updated ERR calculations for many activities. A group of islands in the North Atlantic Ocean just west of Senegal, Cabo Verde has been committed to achieving impressive socio-economic gains in areas like literacy rates, educational attainment, life expectancy, and per-capita income. However, despite significant progress since independence, at the time of compact development, Cabo Verde continued to suffer from high levels of poverty and unemployment. This socio-economic dichotomy was reflected in increasing income disparities between men and women and between urban and rural populations, with approximately 40 percent of the country’s rural population living in poverty. The Cabo Verde economy relied heavily on foreign aid and remittances from the Cabo Verdean community abroad, which together accounted for roughly 25 percent of the country’s GDP. Cabo Verde has suffered from a poor natural resource base, including serious water shortages exacerbated by cycles of long-term drought and poor soil for agriculture on several of the islands, requiring people to import most of what they consumed. The country’s inadequate transportation infrastructure was another key challenge, with the population spread across eight of the nine islands. This geographic discontinuity inhibited the development of a common national market, increased the costs of production, and hindered the flow of resources from more prosperous islands to more rural and poor islands. Given the constraints in other sectors resulting from the country’s geography and small population, sectors such as tourism, financial services, transportation and fisheries were expected to serve as future engines of Cabo Verde’s growth. However, in order to achieve the goal of developing these target sectors, large investments were needed to strengthen human resources and upgrade infrastructure, together with relevant policy reforms to improve the investment climate. Projects were based on Cabo Verde’s national development goals, particularly to transform their economy from aid-dependency to sustainable, private-sector led growth. The projects resulted from a broad and meaningful consultative process conducted by the Cabo Verdeans that included senior national and local government representatives, private sector leaders, non-governmental leaders and sector specialists. The compact was focused on the islands of Santiago, Santo Antão, Fogo, and São Nicolau. At the end of the compact in October 2010, the Government of Cabo Verde and MCC had disbursed 98.6 percent of the anticipated compact funds with nearly 385,000 people expected to benefit from these investments. “Estimated Net Benefits” is the sum of all projected net benefits accruing over the life of the project, typically 20 years, evaluated at a 10% discount rate. Estimates are reported in millions of US dollars in the year that the ERR analysis was completed. Estimated benefits correspond to $82.5 million of project funds, where cost-benefit analysis was conducted. The Economic Rate of Return for the Roads and Bridges Activity will be updated as part of the independent evaluation of the activity. The Roads and Bridges Activity: This Activity was intended to achieve basic connectivity and improve mobility on two targeted island networks by: (a) closing network gaps, and (b) ensuring all-weather and reliable access both to intra-island markets and services as well as transportation linkages on the two targeted islands. The Port of Praia Activity: The Port of Praia Activity was designed to maximize the port’s existing short-run operational capacity and productivity and create new infrastructure and facilities to address the port’s berth, space and geometry challenges. Due to the complexity and scope of the port expansion plan, the Port Activity was designed in two phases. Phase I involved improving quayside and off-terminal container handling facilities; providing for a second access road and breakwater; and initiating preparatory activities – including geotechnical studies, cargo/passenger market studies, feasibility studies, and environmental impact assessments – needed for long-term expansion. The original proposal’s Phase II included extending the quay and creating space for a new two-berth specialized terminal container storage area. However, required design changes and a 29 percent depreciation of the dollar against local currency from 2006 to 2008 resulted in a shortage of funds to complete Phase II under the compact. As a result, Cabo Verde funded construction of the second phase of the port through a concessional loan guaranteed by Portugal instead of MCC funding. By the end of the compact’s mandated five-year period, the Infrastructure Project funded construction of four bridges on the island of Santo Antão, which ensured reliable access to two major urban areas, even during heavy rains that regularly flood nearby rivers. It also rehabilitated two heavily traveled east-west roads and reconstructed one rural road linking an isolated agricultural and fishing community to Santiago’s main road network. Finally, improvements at the Port of Praia were made to modernize the facilities and increase capacity, rehabilitating Quay 2 and constructing a new cargo village and access road. The Government of Cabo Verde-financed second phase of port improvements, which included a Quay 1 extension and container yard, harbor dredging, and additional cargo village buildings, was completed in 2013. The roads and bridges performance evaluation will analyze the road usage patterns, existing maintenance regime, and overall transport market structure. Based on this analysis, it will use an HDM-4 model 2 to estimate the economic effects of the rehabilitated road network on vehicle operating cost savings and time savings, and the resulting effects on household incomes and business revenues, as well as the economic rate of return for the project. Endline Final results expected in 2019. The Port of Praia performance evaluation was designed to assess the success or failure of the MCC investment in, among other things, maximizing operational capacity and productivity and alleviating the Port’s berth, space and geometry problems. More specifically, it seeks to (1) determine what impacts and consequences the MCC investment in the Port of Praia had on port operating efficiency, competitiveness and trade enhancement; and to (2) ascertain ways in which benefits resulting from the MCC investment could have been increased without additional cost through better methods of project preparation, prior institutional reform or better oversight and control during implementation. The negative rate of Percent Compact Target Satisfied values for traffic counts at the compact closeout may stem from possible traffic diversion during construction. The forthcoming evaluation will provide more information on this result. Estimated benefits correspond to $1.8 million of project funds, where cost-benefit analysis was conducted. Data necessary to calculate an ERR for the Partnership to Mobilize Investment Activity was not available at compact signing, and the activity was later cancelled. No closeout ERRs were performed for the project, whose budget was less than $2 million by the end of the compact. Partnership to Mobilize Investment Activity: The Activity was divided into four phases: Phase I, completed by the International Finance Corporation (IFC), was an analysis to identify the segments of the priority sectors where Cabo Verde had a competitive advantage and propose potential interventions; Phase II, financed by the Government alongside other donors, included designing specific activities to carry out the interventions identified in Phase I and conducting an ERR for each activity; and Phase III, in which the Government, IFC and other donors would evaluate and recommend activities for MCC funding during Phase IV.Two years into the compact, the Activity was cancelled and the funds reallocated to other activities. The design of the Partnership to Mobilize Investment was based on assumptions that all participating parties (MCC, MCA, IFC, and local stakeholders) would reach similar conclusions on the sectors with potential for growth in Cabo Verde as well as the appropriate program interventions to best impact priority areas. However, the lack of an agreed vision led to agreement to halt the project activity and to the subsequent reallocation of program funds to the Infrastructure Project at the request of the Government of Cabo Verde (more details are available in the Compact Changes section of this report). The Financial Sector Reform Activity. The Financial Sector Reform Activity focused on transitioning microfinance institutions (MFIs) to become regulated deposit-takers, enabling them to become more significant providers of credit, savings, and other financial services to both rural residents and the urban poor. The Activity included technical assistance to MFIs and the acquisition and upgrading of software to support their functionality. The project’s technical assistance to microfinance institutions, under the Financial Sector Reform Activity, was completed and under this activity, eight MFIs received technical training on best practices in accounting, credit appraisal, delivery, collection, human resources management, and marketing. Additionally, four of five targeted MFIs were classified as operationally and financially sustainable. Finally, as a condition precedent to providing this technical assistance, the Government of Cabo Verde approved a micro-finance law that, among other improvements, authorized MFI collection of savings. No evaluation will be completed for this Project. Estimated benefits correspond to $11.6 million of project funds, where cost-benefit analysis was conducted. The Watershed Management, Agribusiness Development and Credit Activities were conceived as a tightly integrated project at the time of compact signing. The original ERR at the time of investment was 9.7 percent, and MCC has not updated the ERR for this project due to a lack of data. Water Management and Soil Conservation Activity: The Water Management Activity was designed to increase agricultural productivity by supporting the conversion of farm land from traditional dry land production to higher-value horticultural production. This involved improving natural resource management, including sustainable use of soil and water resources, and building capacity to support the development and implementation of community-based watershed management plans. The activity sought to slow surface runoff through the construction of walls, terraces, dikes and check dams and the capture of water in reservoirs to replenish water tables. It also included the provision of water from the reservoirs to individual plots of land through well-drilling and the construction of a series of dikes, culverts and tubes. Farmers were then responsible for obtaining and installing irrigation equipment on their own farms. Agribusiness Development Services Activity: As farmers gained improved access to water and diversified production toward higher-valued crops, the Agribusiness Development Services Activity was intended to provide them with the training and support necessary to convert to new drip irrigation technology and increase productive capacity and marketing of their agricultural products. The activity included establishing demonstration farms, training for both farmers and Ministry of Environment, Agriculture and Fisheries employees, development and distribution of improved varieties of fruits and vegetables, quality control centers to enforce standards for agricultural products, construction and operation of packing sheds, and an inspection and certification center on Santo Antão. Access to Credit Activity: At the time of investment, few, if any, financial institutions in the watershed areas had the resources to meet the anticipated demands for financing drip irrigation, working capital and agri-business development. The Access to Credit Activity was designed to address that gap in financing by providing loans to farmers, post-harvest facilities and other agribusinesses in the watershed areas through local banks and micro-finance institutions. It also funded technical assistance to micro-finance and local financial institutions participating in the program to support better management of loans, promote the loan programs, and strengthen credit analysis techniques. At the end of the compact, 28 reservoirs were constructed to service 101.2 hectares of drip-irrigated arable land, and 48 capitation, retention and control dikes were built to capture water, recharge water tables and decrease soil erosion. Additionally, a 25-year embargo on inter-island agricultural exports from Santo Antão was lifted because, along with pest-control research, the compact funded training for 31 phyto- and zoo-sanitary inspec­tors. The project also built and equipped a post-harvest center on the island of Santo Antão, providing agricultural training, packaging, cooling, and inspection services; and constructed three rural extension centers that offer farm­ers Internet access and technical training materials with market information and guidance on im­proved agricultural practices. Ultimately, 225 farmers and/or agribusinesses received in total $617,000 in rural agricul­tural loans at competitive market rates, and when the compact ended, approximately 100 farmers were already installing drip irrigation systems. This evaluation will investigate how adoption of MCC-funded drip irrigation technology, access to credit, and conversion from traditional crop subsistence-level farming to high-value horticultural and fruit crops has impacted agribusiness of participating farmers. It will ask whether the increased investment in drip irrigation technology, access to credit, and conversion from traditional crop subsistence-level farming to high-value horticultural and fruit crops increase annual agricultural production and productivity for participating farmer households. As shown above, the Agribusiness Development Services Activity trained a smaller number of farmers than originally planned. This was because of underperformance of the individuals hired to plan and organize the trainings. These challenges then likely affected the farmers’ ability to adopt new practices including irrigation, as seen in the low percentage of targets met for the Agribusiness Development Services Activity. Other challenges that may have affected performance on irrigation-related indicators included late completion of irrigation infrastructure, which left insufficient time for promotion of irrigation among farmers, the high cost of irrigation systems and difficulty accessing credit for farmers, and insufficient water in the systems to cover the intended 111.2 hectares. More information will be available following completion of the project evaluation. 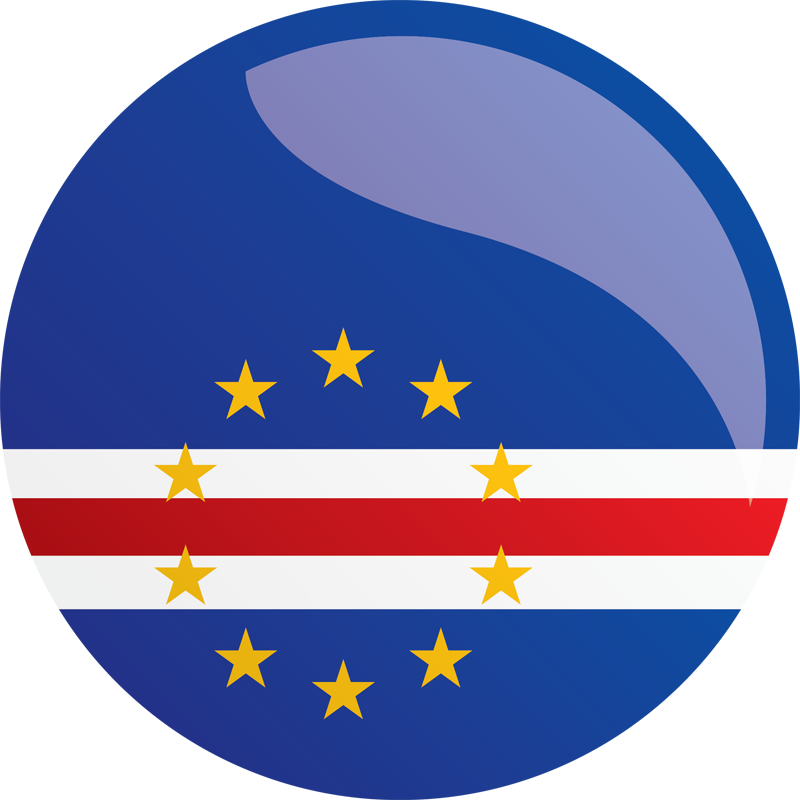 Cabo Verde’s compact proposal was ambitious in size and scope, with activities in three sectors spanning four of the country’s nine inhabited islands. Because of the compact’s complexity, MCC’s strict five-year time limit on disbursements, and budget limitations, some significant project adjustments were needed. In many cases, the Government of Cabo Verde secured alternative funding for projects that required re-scoping or reallocation. Following completion of feasibility studies, estimated project costs for the Port of Praia Activity more than doubled from the amount agreed to in the compact budget. This was partly due to inaccurate assumptions from pre-feasibility studies (such as the condition of the land for the site of the cargo village and the recommended structure for the breakwater for the port), and partly due to a dollar depreciation against the Cabo Verde Escudo. The Port Activity was also affected by significant delays in procuring consultants to finalize designs. As a result, MCC determined in January 2008 that the compact could only finance Phase I of the project, which included rehabilitation of Quay 2 and construction of a new Cargo Village and Access Road. The Government of Cabo Verde financed Phase II works − which included extending the quay and creating space for a new two-berth specialized terminal container storage area − using a concessional loan guaranteed by the Government of Portugal. Phase II works were completed in 2013. In April 2008, MCC and the Government of Cabo Verde reduced the number of road segments to be rehabilitated under the Infrastructure Project from five to three. This change occurred after MCC discovered deficiencies in original design documents and new designs – which included the introduction of safety measures and other improvements and compensation for unforeseen acquisition of land adjacent to the roads – that contributed to an increase in the cost per segment of almost 40 percent. The increase in cost was also a result of the depreciation of the dollar against the Cabo Verde Escudo. Road segments that were selected for compact funding were those with the highest ERRs. The Government of Cabo Verde identified alternative sources of funding for the remaining two segments. In April 2008, the Private Sector Development Project’s Partnership to Mobilize Investment Activity was substantially re-scoped. The Government of Cabo Verde’s Review Committee for the Partnership evaluated and declined to recommend proposed International Finance Corporation (IFC) priority investments for MCC funding. At the Government’s request, the Activity was cancelled and approximately $4.4 million was transferred from the Private Sector Development Project to the Infrastructure Project’s Roads and Bridges Activity. Due diligence studies conducted after the compact was signed but before funds were disbursed for the Watershed Management and Agricultural Support Project found a potentially high risk of saltwater intrusion into fresh water aquifers in project intervention zones. This was due to the number and placement of planned production wells that would supply water to participating farmers in support of drip irrigation activities. To mitigate the risk of saltwater intrusion into freshwater aquifers, the project was re-structured in February 2008 to construct 28 surface water catchment reservoirs, dikes and contour walls throughout the three intervention watersheds (Paul, Faja and Mosteiros) for the capture and distribution of rain, spring and well-fed freshwater resources. The Government of Cabo Verde showed strong ownership and commitment to the goals of the compact by investing significant resources into the redesigned projects. The Port of Praia rehabilitation was the largest single activity of the compact, constituting about half of the $110 million compact budget. When final feasibility studies showed that the cost of the Port was well above what was initially estimated, the Government of Cabo Verde agreed to finance Phase II of the Port rehabilitation with $98 million of works supported by a concessional loan guaranteed by the Government of Portugal. The completed project resulted in a more modern, efficient and secure Port with capacity to handle projected growth for the next 20 years. The Cabo Verdeans also stepped in when two of the five roads that were to be rehabilitated in the Roads and Bridges Activity were eliminated from the compact due to cost increases. The compact supported the creation of the first private credit bureau in Cabo Verde through the Private Sector Development Project. MCC worked with the International Finance Corporation (IFC) to complete a full legal and technical review of the Cabo Verdean system, which then allowed international credit bureau service providers to submit technical and investment proposals to form a credit bureau with local investors. In anticipation of this private credit reporting system, the Banco de Cabo Verde (Central Bank) adjusted its policies, discontinuing its own credit information system and becoming the regulator of the new credit bureau. Regulatory and institutional aspects completed for the creation of a regulatory authority, which will be responsible for the technical and economic regulation of the ports and maritime sectors and establishment and supervision of standards of service in terms of price, quality, security, and competition. By no later than December 31, 2005, establish the Road Maintenance Fund with a structure and functions acceptable to MCC and in accordance with the Transport Sector Letter. Completion of ongoing customs modernization program including simplification of tariff structure, improved access control at customs facilities, information technology improvements, improved organizational structure and implementation of customs code. Government fully funds the Road Maintenance Fund with no less than 300,000,000, Cabo Verdean Escudos and thereafter gradually increased, in accordance with the schedule agreed upon by the parties, the financing of the Fund to meet the maintenance needs of the country’s road network, through collection of user fees (fuel levy or tax, levy on heavy vehicles). Prior to any MCC disbursement or re-disbursement for technical assistance to microfinance institutions under the Credit Activity, Cabo Verde will have enacted legislation that brings non-bank credit providers under Bank of Cabo Verde regulation. The Government has implemented and is maintaining a water fee system satisfactory to MCC (i) in accordance with fee schedule, which includes a fee paid by users; covers operating, delivery, and maintenance costs; reflects the scarcity of water resources in the country; and is transparent and, (ii) utilizing a formula for an annual adjustment in the fee rate based on consistent measurement of the changes in the water table and otherwise acceptable to MCC. The Ministry of Environment and Agriculture and the Outside Project Manager has implemented a “fee for services” policy (satisfactory to MCC), charging fees for quality inspections and certifications. The primary lesson from the Cabo Verde Compact was associated with ensuring that projects have more complete designs at compact signing, in order to ensure that programs can be delivered as designed on time and on budget. For Cabo Verde, as in many compacts developed at the time, the preparation period between the signing of the compact and the beginning of implementation was brief – only three months- leaving little time for important preparatory work that MCC now completes before the five-year implementation clock starts. The re-scoping of the Port of Praia activity illustrates this point– implementation began with only pre-feasibility studies complete, and once more detailed information became available, project design had to be adjusted leading to delays and increased costs. MCC compacts now include an average preparatory period of around one year to ensure programs are as ready as possible once implementation begins. Another lesson comes from the difficulty MCC’s partners experience implementing complex compacts. Early compacts such as Cabo Verde’s often included several projects across multiple sectors, each with its own activities and sub-activities, with sites that were often geographically disbursed across the country. This made supervision and coordination challenging and diffused potential impact. Later programs, such as Cabo Verde’s second compact, focus on one or two sectors with better integrated activities and are more likely to include investments with greater geographic proximity. This new approach makes implementation more manageable and can lead to greater impact by focusing limited resources on areas most likely to ease constraints to economic growth in a country. Additionally, a lesson applicable to the entire compact is the need to be adaptable, as unanticipated cost escalations and implementation delays may require scope changes. In Cabo Verde, and in many of the compacts designed in MCC’s early years, much of the detailed project preparation work essential for finalizing budgets and timelines, including feasibility and design studies and environmental and social impact assessments, was completed after compact signing. As programs progressed to detailed design and contract bidding, and external factors like dollar exchange rate fluctuations took effect, costs became more clearly defined, and some original objectives had to be scaled back. In such cases, as in Cabo Verde, MCC works with implementing partners to revise projects to meet as many original objectives as possible with tighter budgets. While some redesign is expected, MCC now conducts more rigorous design, cost estimation and budgeting prior to finalizing and signing a compact, and where possible, ensures that projects are easily scalable so that adjustments can be made more seamlessly when needed. More details on this can be found in a Principles into Practice paper on the topic of MCC’s Results Framework. 1. Under the MCC country ownership model, MCC’s counterparts are responsible for implementing MCC-funded programs. Partner governments establish entities known as accountable entities (MCAs) to manage implementation for compact projects. 2. Highway Development and Management (HDM-4) is a software program developed by the World Bank for the analysis, planning, management and appraisal of road maintenance, improvements and investment decisions.